Dishwashing was an art form in my family—the standards were high. Put a dish away with a drop of grease or a sticky bit and we’d hear about it. This said, mom was thorough in her teaching of proper dishwashing, so we were left without excuse. My sister and I grew up in the days without an automatic dishwasher. Most of our friends were in the same dilemma—we washed dishes by hand. What’s interesting today is that lots of our Cook’n Newsletter readers, empty nesters now cooking for just 1 or 2 people, have gone back to hand-washing their dishes. And I’ve heard from some of you who say your kitchens are so small you just don’t have room for a dishwasher. 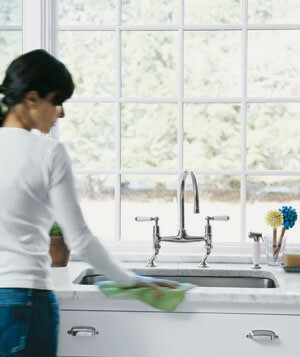 Step 1: For clean dishes you need three simple things: heat, elbow grease, and organization. First, rinse off all dishes, pots, silverware with extremely hot water. The heat helps melt off any cooking fats, sweeping them down the drain. Set them to the side of the sink. If anything needs to soak, fill it with water and save it for last. Step 2. 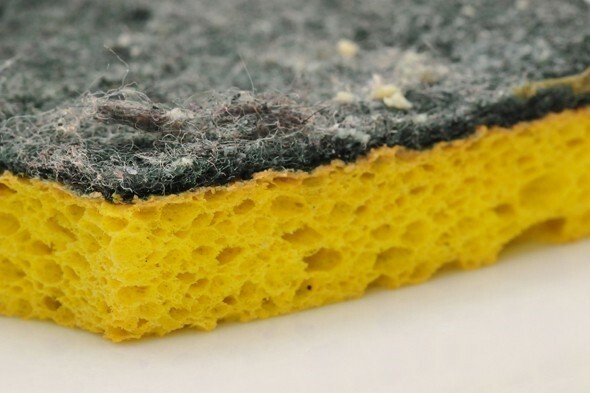 Sprinkle a little dish soap (my favorite grease-cutter is Palmolive) in the sink and using hot water and a dish cloth, wipe out and rinse the sink. You won't get clean dishes if your sink is oily or slimy. Step 3. 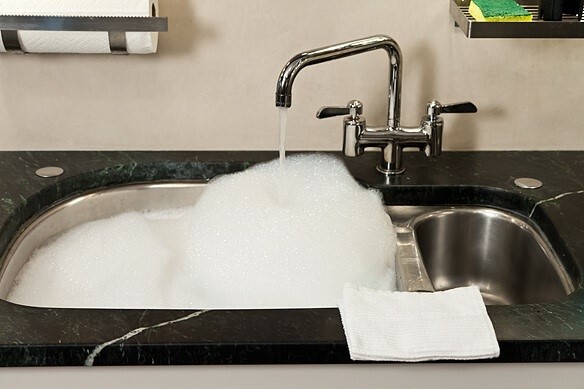 Fill the sink with hot, HOT soapy water. 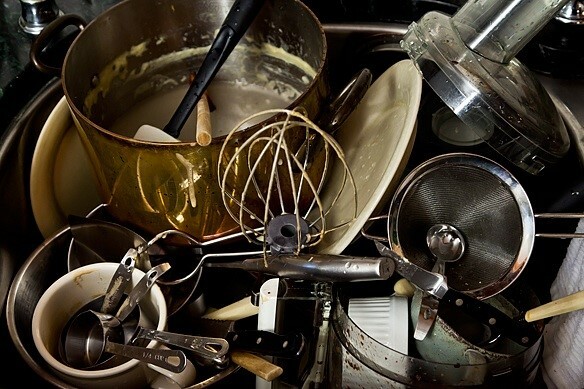 Scrub the dishes on all sides (don’t forget that the plate/dish/pot was set on top of another dirty plate/dish/pot). Use that elbow grease! Rinse with very hot water and set in a dish drainer in a position that will allow the water to stream off of it. If the water gets at all cloudy, empty the sink and start over. Dirty dishes will not get clean in dirty water. Step 4. 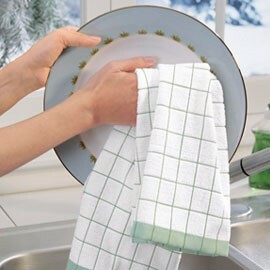 Dry the dishes with a thin cotton dish towel. Clean your dish drainer and dry it so it doesn't get slimy and caked with hard water build-up (some dish drainers are worse than the dishes). Step 5. Clean around the sink, wiping the faucet and back splash, then wash out the sink; rinse and firmly wring out the dish cloth and hang it in on a rod so it will dry. Never leave dishcloths in the sink. 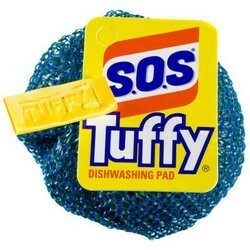 Who wants to have to wring out a cold, wet dishcloth before using it -- gross! Professional chefs and home economists all say “BOO!” They’re considered one of the germiest things in the house. · Dishcloths are best changed daily (if you live with my mom). · Hand towels and dish towels should live separately. · Never use gloves. If you do, you can't feel the dishes; you need to be able to sense residual grease or find those lingering little bits hiding in crevices, etc. If needing to scrub a pot, a scrub brush won’t cut it; nylon pot scrubbers are your friend.